Paper Crafts by Candace: Flying by.. 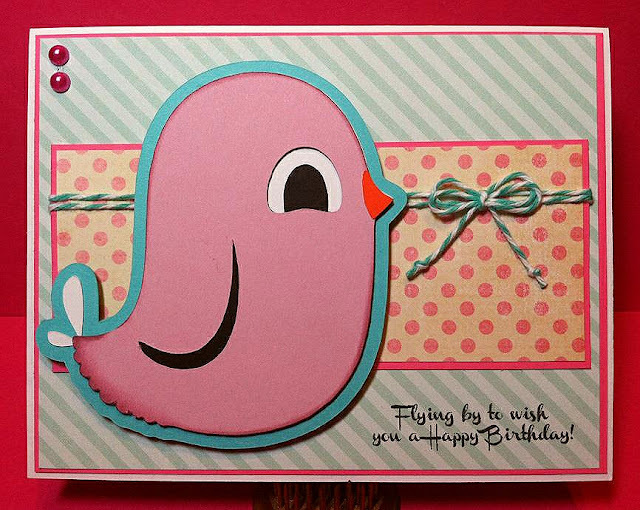 The sentiment "Flying by to wish you a Happy Birthday!" is from the new set Bug-a-boo being release on Friday!! Your card is adorable Candace. Adorable!! Thank you so much for joining us at Love to Create. Super Cute!! Thank you so much for playing with us this week at Love to Create Challenge! Come Back and play with us again soon! Really cute card! Love the sentiment. Thanks for joining us at Love To Create.